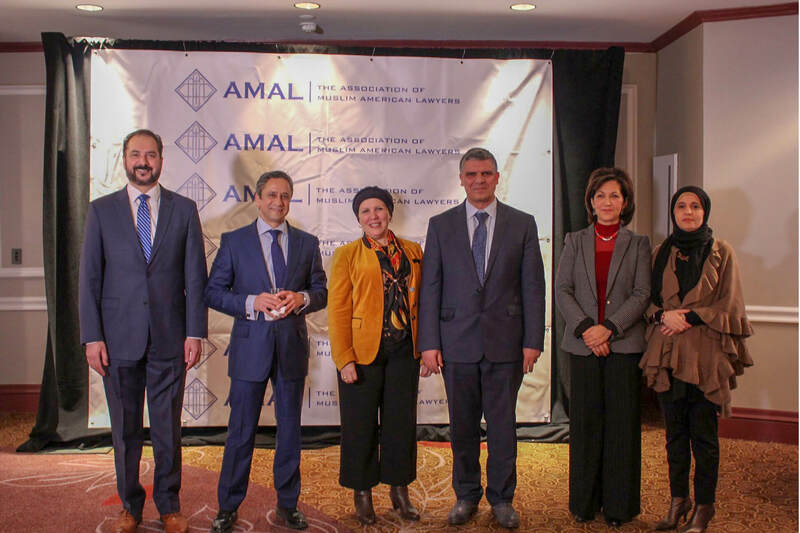 The Consul General of Algeria, Mrs. Sabria Boukadoum, attended, as guest of honor, the Association of Muslim American Lawyers (AMAL) Gala dinner held on Thursday, January 31, 2019.Many other distinguished guests,notably, Mr. Abdelhafid Dejmil, President of Majlis Ashura, and other attorneys, judges, Government officials, community leaders, young professionals, and activists also partook in this convening. 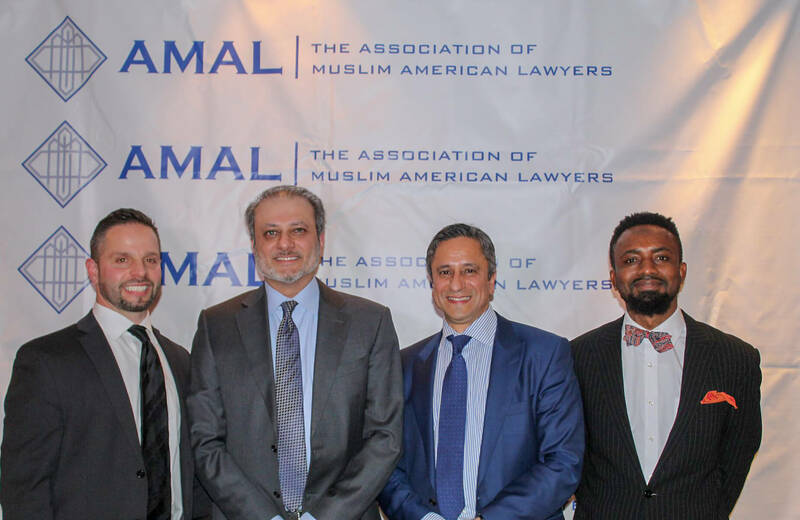 AMAL, which is chaired by Attorney Omar T. Mohammedi, is a strong advocate for justice, a minority bar association that organizes and participates in seminars and panel discussions fostering awareness of legal issues and promoting the highest standards of professionalism, integrity and justice under the law.To learn more about AMAL, click here. 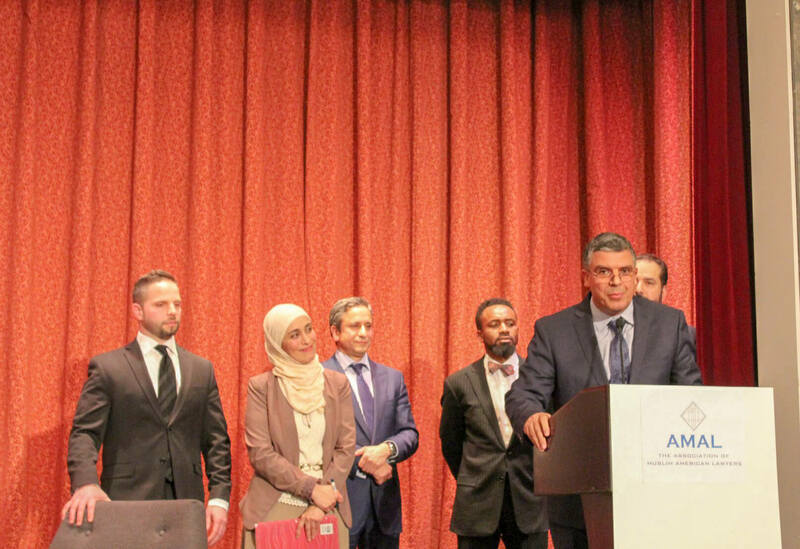 This year’s gala was under the theme “Checks and Balances: A Legal Safeguard against Abuse of Power”. Discussions were in the form of a fireside chat with Preet Bharara, the former United States Attorney for the Southern District of New York, an outspoken critic and prosecutor of public corruption. 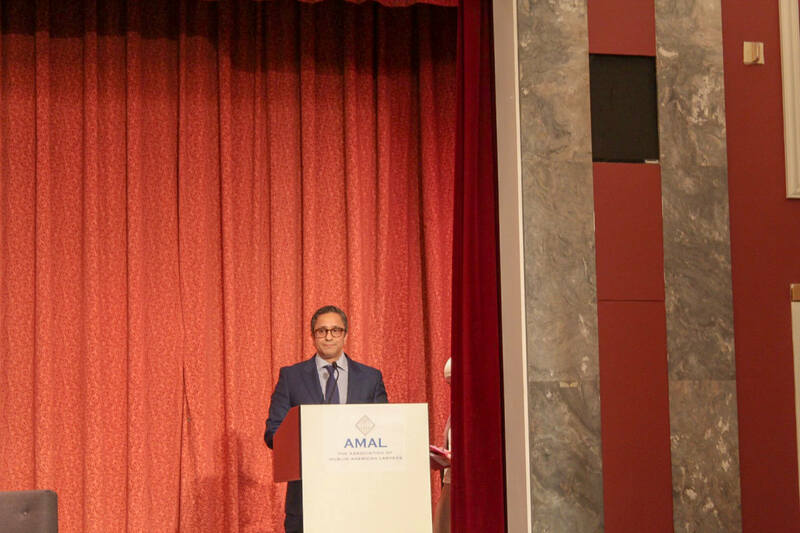 At this occasion, AMAL honored advocates and organizations with Lifetime Achievement Awards, Community Service Awards, and Medical Innovation Awards. 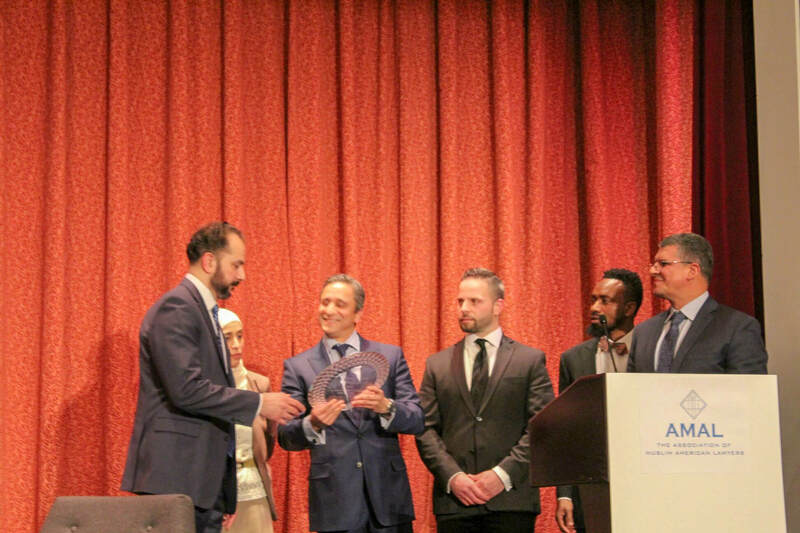 Dr. Abderrahmane Laadem, an Algerian American citizen was awarded for his contribution to Cancer research and his innovations for the benefit of humanity around the world. The Consulate General would like hereby to thank Mr. Mohammedi for this successful event. Our Heartfelt congratulations go out to all awardees, especially, Dr. Abderrahmane Laadem with our best wishes for his future endeavors.